On September 3rd, 2015 at approximately 11:45 am, officers were dispatched to Dollar General Store at 3630 Jacksboro Hwy for a warrant service on the offender, Micah Marie Hubbard. The officers on scene made contact with Micah inside the store at which time she was informed that she was under arrest for an outstanding warrant. During the arrest, Micah became belligerent and began to fight and resist the officers resulting in an officer being assaulted in the process. After a brief physical struggle, she was taken into custody. 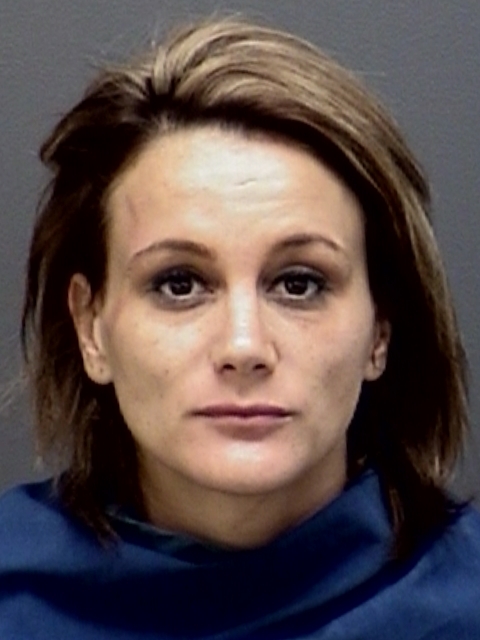 A search of Hubbard after her arrested turned up approximately 1 gram of Methamphetamine. Hubbard was charged with Assault on a Public Servant, Resisting Arrest, Possession of a Controlled Substance, plus city and county warrants. The officer suffered only minor injuries.